A disabled ex-soldier says he feels “totally let down” after he was prevented from buying his rented home. Glenn Million-Kidman, who served in the Army for 22 years when he lost part of his left leg, has been blocked from owning his Blackhall bungalow because of where it is and when he moved in. He wishes to buy it so that he and military charities can carry out adaptations to make life easier such as lowering kitchen worktops and installing a ramp to the garden. Glenn, 44, has a prosthetic leg, but both he and his wife, who is also disabled, sometimes use a wheelchair. About 18 months ago he first tried to buy his East Durham Homes property under the Right to Buy process through Durham County Council. He was told he was not eligible for that as he was not a council tenant prior to April 2015 when the council’s housing stock transferred to County Durham Housing Group. Glenn Million-Kidman during his service in the Army. Glenn then tried to buy it through a similar Right to Acquire process for housing association tenants. But to his dismay he discovered his home is classed by government legislation as being in a rural area where the right to acquire is not allowed. Glenn said: “Military charities would help to adapt the bungalow for me, but their one stipulation is that I own the property. “I am just being hit by red tape basically. This has been going on for nearly a year and a half now. “Me and my wife are absolutely destroyed. I just feel totally let down. “What was the point of serving my country if I can’t own my property? Glenn feels he has been treated unfairly as prior to the April 2015 council housing transfer he was away serving in the Army, including in Iraq. 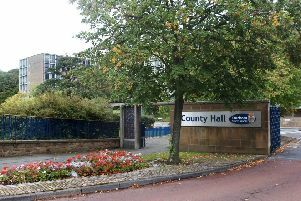 Durham County Council said the legislation on right to buy qualifying periods does allow the inclusion of dates spent in armed forces accommodation, but does not deem the individual to be a tenant of the local authority if he had not entered a council tenancy before moving into service accommodation. Glenn complained to County Durham Housing Group claiming he was being discriminated against. But it said the decision was made in line with government legislation and he had not been treated any differently to other applicants. County Durham Housing Group project director, Michael Doyle, said: “The whole of Monk Hesleden parish, which includes Blackhall Colliery, has been exempt from the Right to Acquire since April 1997. “Many other rural parts of the North East have the same status. As a housing association, we are also not part of the Right to Buy scheme. “We will always try to do the right thing for our customers, including carrying out adaptations to tenants’ homes to help with day-to-day life. “We will always consider any suggestions for home adaptations that we receive.